Play Elements Touch® for real! In 2017, many Touch® Games have been launched. Besides the standard Touch® versions launched together with the desktop game, it looks like NetEnt decided it was time to speed up the process of adding some older titles Touch® to the NetEnt Games suite. By the time many extra Touch® Games were launched, almost 60 NetEnt slots were accompanied by their Touch® version already. 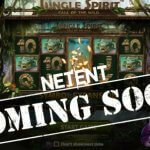 I do believe that some games will never see a mobile version, but I wasn’t surprised to see that NetEnt chose the Elements: The Awakening™ slot to be the first to be launched as an extra mobile game in 2017 together with Wild Water Touch®. 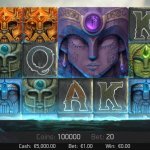 The Elements: The Awakening™ slot was launched as a desktop game in December 2012, but I never forgot about this innovative slot game. Looking back, I guess that the high-quality graphics the Elements: The Awakening™ slot consists of were ahead of their time. The reason I say that is because this NetEnt slot doesn’t look 4 years old as it could have been yesterday that this slot was launched. Packed with innovation and originality, it was about time that Elements: The Awakening Touch® found its way to the NetEnt Casinos so players can enjoy this fabulous slot game at any time and from any location as long as connected to the internet. From the moment Elements: The Awakening Touch® became available at the mobile casinos, mobile players could start to enjoy the incredible Avalanche™ feature, Avalanche Meter, as well as 4 different Free Falls modes, each with a different Wild and named after the elements. This mobile slot does consist of spectacular animations with each element having its own character. Elements: The Awakening Touch® brings the full force of the elements to life with incredible animations creating a vibrant and mysterious atmosphere. Featuring different Wilds in each of the 4 Free Falls Storm modes you’ll want to be exposed to these elemental forces time after time. Earth, Fire, Air, and Water are of daily importance on this planet, giving each of them an own character with Air as my absolute favourite. It’s one of the cutest characters NetEnt ever designed, although it might take you a few sessions to get to know each of them. As one of my favourite NetEnt slots, I hope Elements: The Awakening Touch® finally gets the credits it deserves. 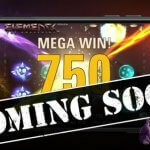 With such a special gameplay, original theme, and spectacular animations, I expected this NetEnt slot to become more popular than it actually did and, therefore, I hope that the launch of Elements Touch® will be responsible for the boost this exceptional slot deserves. 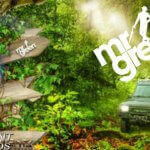 While writing this review, I decided to enjoy one of the most dynamic NetEnt slots again. The high-quality sounds took me to a magical world, especially after I turned off the sound effects. These sounds effects do add to an exciting slot experience, though, but it’s after midnight when I write this article and a tranquil sound fits the moment better. Euphoric at times, the soundtrack still brings enough action to the reels, but when you play during the day I can highly recommend you to leave the sound effects on. This is exactly why I appreciate the NetEnt slots so much as they take all aspects of a video slot serious which definitely adds to the player’s experience. 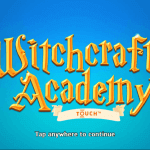 There’s so much to enjoy when playing Elements Touch® and I hardly know which slot feature to start with. It seems logical to start with NetEnt’s most respected slot feature, an in-house creation known as the Avalanche™ feature where symbols fall into place on the columns. Winning combinations trigger the Avalanche™ feature with the involved symbols to explode and disappear, leaving space for a new Avalanche. While the Elements: The Awakening Touch® isn’t the first mobile slot offering the Avalanche™ feature, it’s the first game that offers it in combination with the super innovative Avalanche Meter. This meter increases by one for each successive avalanche until it reaches the maximum of 4 after which one of the 4 Free Falls Storm modes is activated. The colour of a completed Avalanche Meter reveals the Free Falls Storm mode during Free Falls. – Fire Storm Wilds spread across the columns, turning any two adjacent symbols into additional Wild symbols. – In Air Storm mode there will be two Wild symbols that fall randomly anywhere onto the reels from the start of Free Falls. They will move position, but they will remain on the reels for the entire Free Falls feature. – Earth Storm Wilds are indestructible for a maximum of 3 Free Falls. – Water Storm Wilds are acting as Expanding Wilds. No game supplier could have integrated the four elements Fire, Air, Water, and Earth into a video slot the way NetEnt did. Only an extremely talented team can come up with the idea to replace the traditional spin button with an Energy Meter, one of the best features I’ve seen so far in a NetEnt slot and an important reason for me to never stop appreciating Elements: The Awakening™, and the exact reason why I’m happy that Elements: The Awakening Touch® is now available at the mobile casinos.